This is going to be a quick-hit blog post about the passing of TV legend Andy Griffith. Mr. Griffith passed away today at the age of 86 and will be forever a part of my family. I watched The Andy Griffith Show from an early age with my dad and watch it even today. (I'm actually watching it right now). 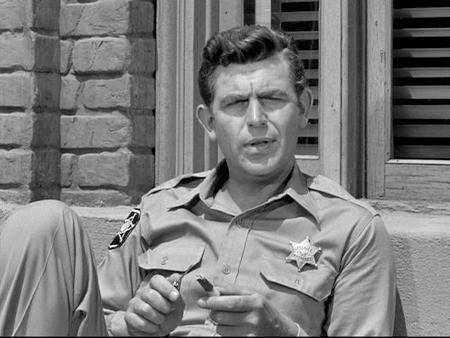 The great thing about the charm of The Andy Griffith Show is that is carries on from generation to generation. My dad would have watched it when he was about 6-7 years of age, I did the same and now my daughters are carrying on the tradition. The tough part has been explaining to them that Opie will be just fine because they are only actors and it's a television show. We're still trying to wrap out little minds around that one. I will update this blog later in the day and will post a series of blogs over the course of the next week or so recalling some of my favorite episodes and favorite moments. If you have any wonderful memories of Mr. Griffith and his shows (The Andy Griffith Show, Matlock, etc) make sure to share those as well.